Back to school time can be a wonderful, exciting time for some students and a frustrating, new experience for other students. 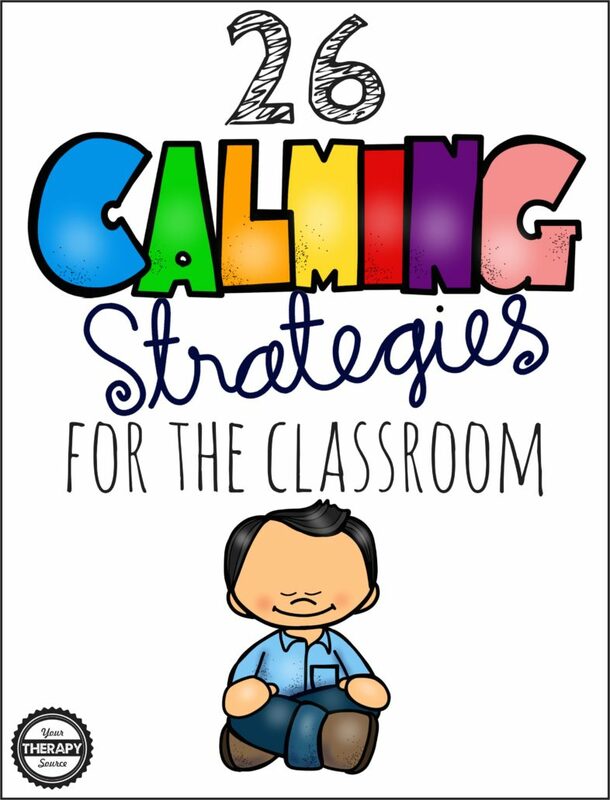 School based therapists can help students develop strategies from a sensory motor perspective to remain calm when they get angry or frustrated A new, huge collection of visual images that includes 26 calming strategies for the classroom has just been published. 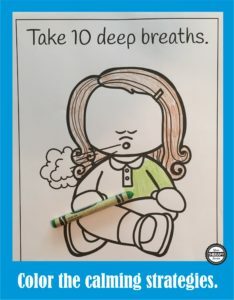 You can download the Take 10 Deep Breaths calming strategy in color or black and white for FREE. Rock gently on a ball. Jump on a mini trampoline. Go to a quiet area. Hang up the full size pictures around the room for group instruction. 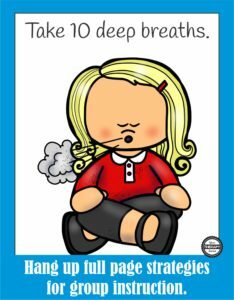 Print out the black and white versions of the calming strategies and color them in to help the students calm down and reduce stress. Print out the small cards, laminate and put them on a key ring. 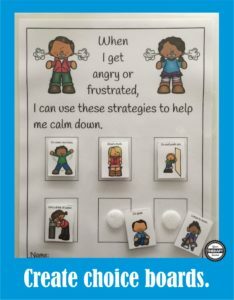 When the students need to make choices to help them calm down, they can choose between the visual picture images. 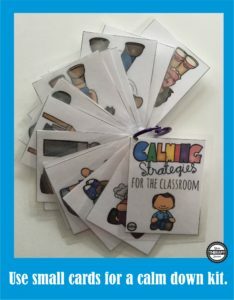 Use the choice board page to help students decide which strategy to use to calm down in the classroom. 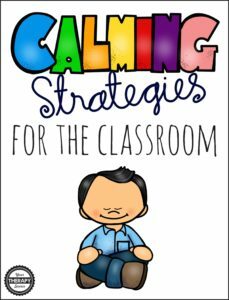 Get more details about Calming Strategies for the Classroom.